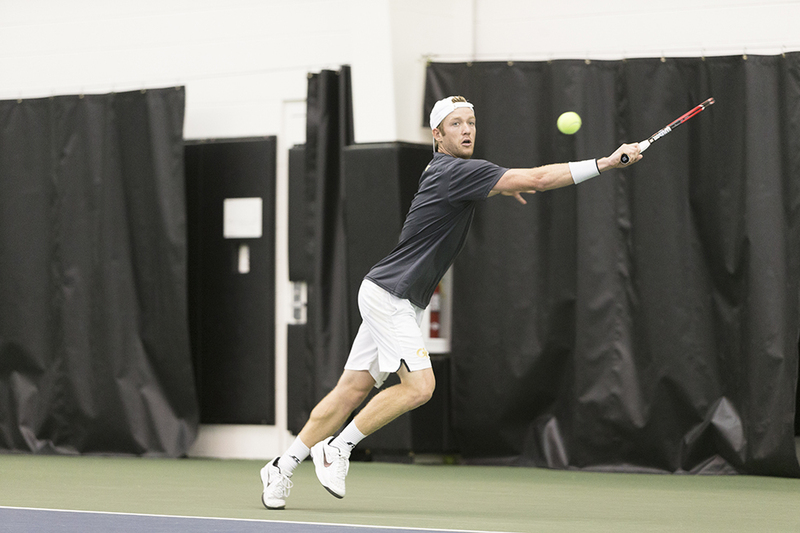 If Fall 2015 was any indication of the prowess of the men’s tennis team at Georgia Tech, fans can look forward to an even more exciting performance this spring and next fall. Seniors Casey Kay and Nathan Rakitt hope to have an exceptional final season at Tech. With his brother Michael, Kay opens the spring ranked No. 36 in doubles by the pre-season Oracle/ITA rankings that were released last Tuesday. Rakitt began last spring at number one but a shoulder injury nagged him through ACC play, leaving him in the third spot. He will no doubt seek redemption in the spring. The senior athletes aren’t the only ones who can be expected to have top spring performances. Tech fans should keep an eye on sophomore Christopher Eubanks, number six in singles. A blue chip prospect out of high school, Eubanks made his collegiate tennis two falls ago. His devotion to the sport only grows, as evidenced by his outlook entering the season. Developing strong momentum early in the fall, Eubanks won 11 out of 14 singles matches and two out of four doubles matches. He earned the highest finish by an American-born player after gaining a spot in the USTA/ITA National Indoor Championship semi-finals in November. Winter break was no vacation for Eubanks. He was invited to spend a week at the StubHub Center in Carson, California for USTA’s Player Development camp. Eubanks spent seven days training with some of the premier names in American tennis. His time in California solidified his commitment to taking no time off from training, providing him with motivation to excel in the coming season. An experience like that is a fantastic opportunity for a growing collegiate athlete to prepare for the professional circuit. His work ethic will serve him well in his career and as a Yellow Jacket. The Jackets will open the spring hosting the MLK Invitational at the Ken Byers Tennis Complex. The invitational starts this Friday and goes all weekend. Throughout the weekend Tech, number 43 in the ITA collegiate rankings, will go up against #19 Ole Miss, #7 Georgia and #2 Oklahoma. The rankings would indicate that the Jackets are overmatched, but a competitive performance against those teams would bode well for Tech’s confidence and the team’s ability to compete with the country’s elite teams as the season wears on. With home advantage and a team packed with well-trained athletes, the team can be expected to perform at their best this weekend. Tech hopes to start the season off with strong showings at the aforementioned invitational and ITA Kickoff Weekend. If all goes well, Jackets fans can look forward to an energetic group taking the court at the ITA National Team Indoor Championships in Chicago this February, intent on launching itself to national recognition and providing its fans with a reason to believe. The team will have an opportunity to demonstrate how far it has come at the ACC Championships at Cary Tennis Park in Cary, North Carolina this April.